I’m Shabbir Bhimani – freelancer, blogger and investor. Inspiring developers by sharing my journey and experiences about being self employed. Thank you for visiting my blog’s about page to know more about me and my blog! I have a lovely wife and 2 kids and have been an online freelancer working from home for more than a decade now. I am B.Tech in Information Technology 2004 Pass out. I got a job in an on-campus interview. I still remember the first day of my job. It was on 14th June 2004 Monday. When in college and before my first job, as I had a keen interest in programming, I was looking to get involved in some real hands-on projects which lead me to RentACoder (a freelancing site then). Back then I did few of those homework help type of projects in C and C++ Programming that were being posted on RentAcoder. It was my first hands on freelancing and work from home and as far as I can remember it was in 2002. After completing the college I joined a full-time job and that is when I realized that freelancing is not something that can be done along with a full-time day job and I decided not to continue very actively with freelancing but do something where I can work in my free time. I started researching online and finally decided that sharing my content online is one of those few things which can be done when I have free time i.e. after reaching home from my full-time job and on weekends. At that time I thought of going for a blog but as blogging was something relatively new in 2004, I figured out that blogging is something where I constantly need to write and I was not sure if I can manage that along with my full-time job and so I decided to go with online forums. First Job was Visual Basic development and as I was inclined more towards the web because of my own websites that were started to grow. Was doing a job in a fairly large company and so thought I should be working in a small web based company. Second Job was a web development and SEO job in a small company. I started to get the feel that no this is not the kind of work I prefer to be doing and so I started to look for a C++ Job. Remember I loved C and C++ in my college days. I started to think I should be working in an MNC. Third Job was a C++ job in an MNC and this is when I started to feel that I have no more excuse to switch jobs and this was the time I decided I will work more towards my own online business instead of working for others. After I decided, it took me a couple of years to finally quit my job and be a full-time freelancer, blogger, and freelancer in 2008. My first job was in June 2004 and in the first year of doing a job I was in my third job already. Something somewhere was not working for me as I wanted it to be. I was hopping from one job to other finding the perfect job for me. Had various reasons for changing my job from not right kind of technology to the right kind of company size? The list goes on and on. The first year of my third job was really enjoyable but soon I got bored with it. After I ran out of reasons, I decided that I will be a blogger, build more community sites and work for freelancing clients. So after a couple of years into my third job and having a total experience of 3 years now, I was prepared to quit my job. The plan now was to have 6 to 8 months of family expenses in my bank account so if things don’t work out the way I want in the next 6 to 8 months, I can get back to the job. I accumulated the money and when I was about to quit, got a real big raise in my salary. Double of what I was making. This is when I convinced myself to continue doing a job because now becoming a freelancing was being compared to what I was making instead of what I needed. 6 more months after the raise when I actually decided to say goodbye to the job. Once you are quitting a job that is paying you handsome money, no dirty office politics, and you love the technology you are working on, it is a lot more difficult. Finally I did it and it has been the best decision ever for my career and life. 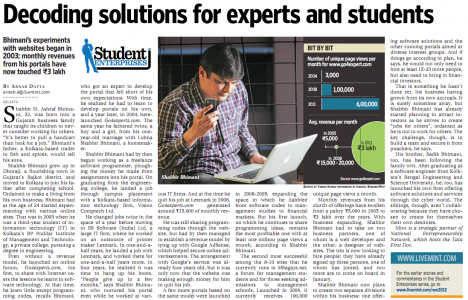 In The Times of India for Go4Expert.com. I share my entrepreneurship, freelancing and blogging experience as well as do the experimentation on new ways to internet marketing strategies for my web properties. Here are some of the topics I write about. In my eBook, I have shared the exact same strategies I use in crafting my proposals to attract clients, get paid my hourly rate and ask clients for feedback. A community of Indian Freelancers, for Indian Freelancers and by Indian Freelancer and I’ll be honored to have you as part of this community. You can unsubscribe anytime with a single click. The Facebook page has over 10,000+ amazing freelancers, bloggers and entrepreneurs and I’d love you to be a part of it as well. Follow me on twitter where I share resources and content that I read on web. It’s very difficult to be selecting few articles and I really like all of them. So I leave it on my readers and selected those that have the most views and are enjoyed the most. You can check them out! How to Get Your Upwork Profile Approved – Has your Upwork profile been rejected? If you don’t follow these guidelines, you are sure to get the profile rejected yet again. So, how do you get an Upwork profile approved even if it has been rejected previously? How to Get Your First (or Next) Client on Upwork? – There can be tons of advise others can give about what works and what doesn’t. But the first client you get with your own effort on Upwork makes you believe it is not about what others achieved or said. Now you can do it too. Let me share 10 tips to get your first (or next) client on Upwork. How I Write My Upwork Proposal That Lands Me a Job – I take proposals as an opportunity to introduce myself, highlight my expertise, and ask relevant questions to show I’m the best-suited person to get the job done. How to Get Your First Proposal Accepted on Upwork Amongst Experienced Freelancers? – How can a new and individual freelancer get hired by clients while competing against experienced and seasoned freelancers and companies? 7 Common Upwork Proposal Mistakes – What’s Wrong With Your Proposal – Writing more proposals and being quick in sending the proposals to the project just posted is the not the key to success. The conversion ratio of the proposals is. Upwork Connects: Everything You Need to Know About Them – This article answers all Upwork Connects questions. “How Upwork Connects works?”, “How many Connects can one have?” and “Should one upgrade their membership for Connects?”. How Much Should I Charge for My Freelancing Services – This article explains the bottom-up approach to calculating the minimum hourly rate you should be charging your clients as a freelancer in order to achieve an expected monthly income. As a Freelance PHP Programmer Should I Hire or Partner with Designer? – As an individual freelancer, what are the scenario’s to consider when joining hands with others and forming joint ventures and partnerships? How to Boost Your Freelancing Income with Additional Services – Without increasing rates, individual freelancers can increase their income. Here is a list of 10 services that can be offered to clients and boost your income. As a Freelancer How to Build Trust with Your Clients – Building trust takes time. It is not something that can be tweaked overnight. It is more of a habit that you need to develop as a freelancer. When is the Right Time to Say NO to More Clients and More Work? – You have a limited time in a day and you can only work for a certain number of hours. At some point, you have to say NO to more work and more clients. How to Get Regular Income from Freelancing? – This article explains how to get a constant source of clients on a continuous basis and how to keep on getting new clients all the time for your web development skills. My Client Did Not Pay Me – What Can I Do? – My client changed his FTP and CPanel password but did not pay me for my work. What can I do about it? 14 Mistakes Indian Freelancers Make That Can Break Them – Over the years, I have seen freelancers write proposals that can be rejected straight away because they had some common issues. Let me just share some of the common mistakes that freelancers make so you don’t repeat the same. How to Scale up Web Services Business – A Leaf From TCS & Infosys Business Model – Small web design and web development startups have issues scaling up to the 10 fold or 100 fold marks. The solution is to apply the business models of the best service industry companies. 9 Awesome Customer Acquisition Strategies for SaaS Startup – Software as a Service is a hot trend in India but many falter at acquiring new customers and clients because they are not aware of the right process to follow. How to Scale Up Web Services Business – A Leaf From TCS & Infosys Business Model – Small web design and web development startups have issues scaling up to 10 folds or 100 folds. The solution is to apply the business model of the best service industry companies. Why Do Most of the New Blogs Fail To Make an Impact? – 5 of the most common reasons why most of the new blogs fail are blogging to make quick money, not original content or view, Worry too much about SEO and not about readers, Not investing enough money and reading the wrong stats. 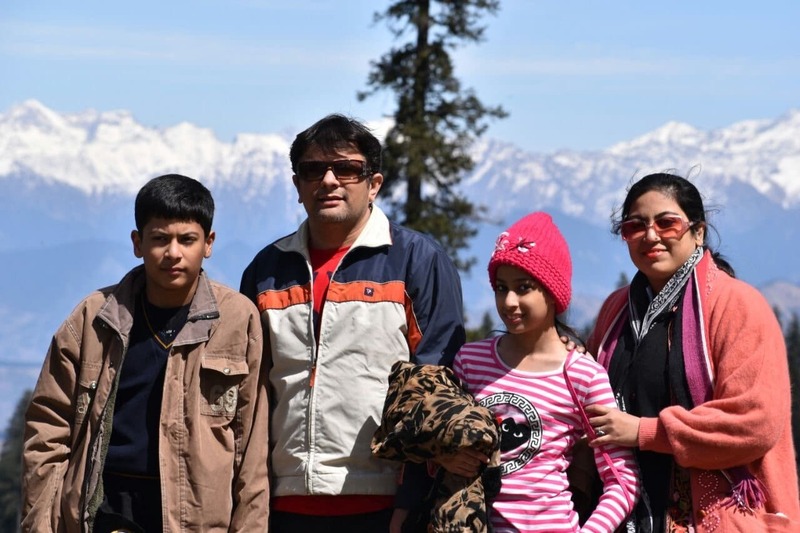 3 Blogging Lessons I Learned from Sachin Tendulkar – You may be wondering what blogging lessons Sachin Tendulkar can teach me? As a blogger, you tend to take blogging lessons from everything you love doing or even watching. So let me share some blogging inspiration I took from Sachin Tendulkar. How Often One Should Blog – What Akshay Kumar, Salman Khan, Shah Rukh Khan and Aamir Khan can help us understand how often one should be blogging and publishing content. 4 Signs Why Introverts Can Be Better Bloggers? – Being introvert in the real world, does not mean being introvert online as well and so lets see why introverts can be better at blogging and content marketing. 7 Types Of Content Freelance Programmers Should Blog – As a new freelancer and blogger, don’t take the blog as the main source for clients but work towards building it as an additional source of clients. 6 Blogging Fear Among Indian Freelancers And How to Overcome Them – 6 most common fear among Indian freelancers that keeps them away to start a blog. They are the fear of English, the fear of writing, the fear of technical know-how, the fear of running out of Ideas, the fear of marketing and finally the fear of failure and how to overcome each of them. 20 Ultimate New Bloggers Blogging Myths Debunked – Debunk 20 of the most common blogging myths that most new bloggers come across. Facebook Marketing Tips For Non-Viral Niche Websites – Millions of articles about Facebook marketing tips are online. What kind of content can go viral or what type of images can impact the viral aspect of any content? The question is what if your niche isn’t viral? What if you don’t want to create those stupid memes? 10 Personal Brand Building Hacks To Get More Clients – Personal branding is a misunderstood concept among freelancer. They consider branding is only for the big brand and companies like Coca-Cola, Google or Apple. Marketing Lessons From Narendra Modi’s General Election Campaign – Indian general election 2014 has been historical and there has been a complete turn around as we know but there is lot to be learned from the marketing view point of BJP or Bhartiya Janta party. Let me share the 7 Marketing lessons I learned from Narendra Modi’s 2014 General Election Campaign. How To Learn Internet Marketing For Free – Download PDF – The best and the most efficient way to Learn Internet Marketing is by doing it. You can get started now. Sign up for free account at WordPress.com or any other website builder of your choice and start testing your internet marketing skills. Is This The Right Time to be An Entrepreneur / Self Employed / Blogger? – Pros and cons of being an entrepreneur or self employed or freelancer or an online blogger now and may be few years earlier and few years later. 5 Perspective Changes From Being an Employee to Becoming an Entrepreneur – Entrepreneurs have a different perspective and I have seen that there is a considerable amount of difference in perspective when it comes to being an employee and being an entrepreneur or an employer. 9 Entrepreneurship Lessons I Learned From My Failed Attempts – I have tried many online businesses that failed. I learned a lot from them. Here are 9 things I learned from my failed business attempts of the past. Every Entrepreneur has to say NO – Here Is How You Should? – Every Individual has a limited amount of time and resource. Saying no can help you focus in the right direction to grow as an entrepreneur and as an individual. Remember these are just a few and I updated my blog with a new articles every week! You can contact me or ask me questions. I love interacting one on one with my readers. Just be patient as I reply personally to my blog reader’s.